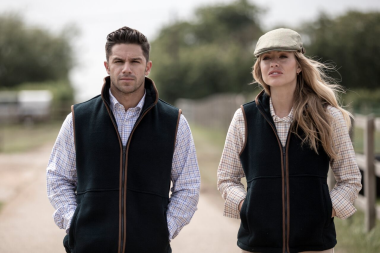 The Alan Paine Aylsham Gents Fleece Waistcoat in navy is a soft and smart gilet, a superb quality fleece waistcoat for either layering or wearing over a shooting shirt or country jumper. A really useful addition to your wardrobe. 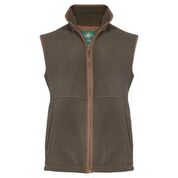 Made from 100% polyester it has a soft, luxurious feel and is sure to keep you warm & cosy. 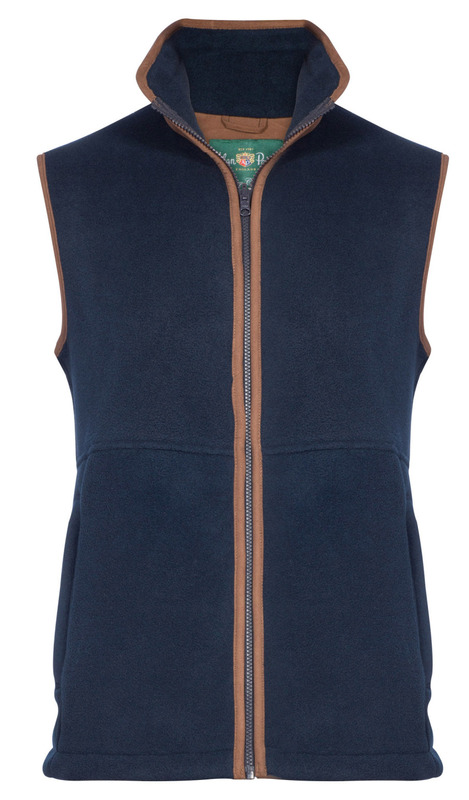 The attractive contrast colour to the outside collar and piping to the zip area and armholes gives it a smart appearance. An adjustment at the waist and also at the bottom ensure a snug fit to help keep out those chilly winds. Alan Paine have also added two zipped pockets at the front allowing you to keep valuables safe. A children's version in Dark Navy is available here for boys and girls to look just like Dad on the field!